Editor’s Note: We’ve done an update for this piece, and you can find our article on highly-rate online flower deliveries in 2019 here. Due to competition, flower delivery services are carving specific niches and offering unique services depending on your needs. 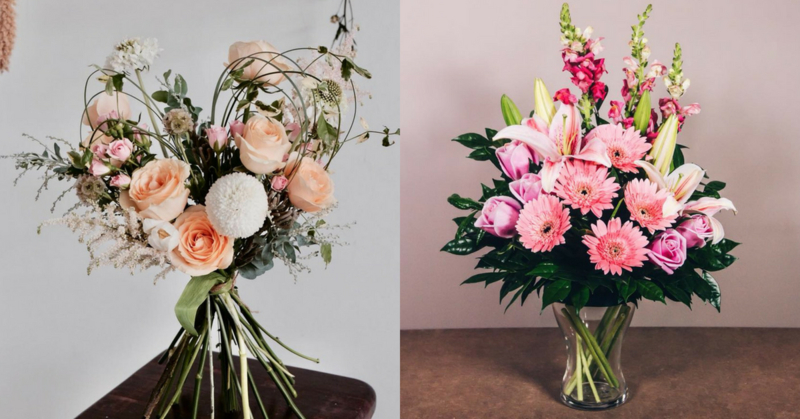 So to help you narrow down your options, we’ve compiled some of the best flower delivery services in Kuala Lumpur and Klang Valley based on quality, cost-effectiveness and convenience. These are arranged alphabetically. DELIVERY FEE Klang Valley and Penang delivery fees start from MYR 18. Delivery hours are between 12pm – 6pm. Order before 12pm for same-day delivery. Flower aficionados who are also tech-savvy can appreciate the unique video service of 50Gram. With Video Bouquets, customers have the option to add a personalised video with each bouquet delivery. Just scan the QR code and it will take you to the video generated by 50Gram. As for the bouquet, you can choose from either small or regular sizes which you can either pick up from their shop or have it delivered to a specific location. DELIVERY FEE FREE. Order before 3PM for same-day delivery. A Better Florist launched in Singapore just a couple of years ago. Their bouquets are delivered free of charge to any location in Kuala Lumpur and Klang Valley. DELIVERY FEE Free for deliveries to Klang Valley and select areas in KL, and Penang. Order before 1pm for same-day delivery in Klang Valley. BloomThis has a subscription service for flower lovers who need regular bunches of fresh cut flowers for their home or as gifts to loved ones. The bespoke bouquets are delivered weekly. They also have tie-ins with other brands like Boozeat, so you can send a little extra something with your blooms. Of course, you can also order hand bouquets for special occasions. Their selection, though small, accommodates a wide range of prices—from the budget conscious to the generous gift giver. J Flower delivers beautiful floral arrangements for all occasions for free in Kuala Lumpur and Petaling Jaya. Their flower boxes are gorgeously arranged and would be the perfect surprise and unexpected gifts of happiness, though you can also order any of their stunning hand bouquets which are arranged simply but elegantly. Some of their arrangements are bundled with chocolates and other complimentary gifts for added thoughtfulness, whether it’s Valentine’s Day or Mother’s Day. Run by a freelance online florist, her whimsical designs are sure to make great gifts for any occasion. She works with all sorts of blooms and styles, so if you can check out her Instagram for an idea of what she can do for you, and send her a DM or email with your request in mind! DELIVERY FEE Free delivery. For same day delivery, make the orders before 1PM. Based in Mont Kiara, Kuala Lumpur, Flower Chimp delivers all over Malaysia (East Malaysia included!). Sophisticated and elegant, their bouquets will lend a true sense of class and style to any occasion. They also carry ranges of the usual popular blooms (e.g. roses, lilies, gerberas, and orchids), which you can sort and filter out on their website. If you’re on the lookout for congratulatory flower stands for any business or restaurant openings, or even for sadder occasions like sending condolences, Flower Chimp has a carefully curated selection of that too. DELIVERY FEE Free same-day delivery for most locations in KL and Petaling Jaya. Order before 12:30pm. Happy Bunch offers regular and luxe bunches. For people who don’t have time to scroll through endless bouquet options, they make it simple—choose either regular or luxe and they’ll craft a bouquet for you. It’s that easy! A regular bunch starts at MYR 42 while luxe flower arrangements start at MYR 89. With Happy Bunch, the finished bouquet will be a surprise for both the sender and receiver. Simple and affordable! Michelle Latif, the self-taught florist behind the brand, uses her creativity to constantly innovate and create floral arrangements based on the latest trends. From simple to elaborate designs, buying flowers from Michelle’s Flowery means getting something born from the heart and mind of a true floral champion. DELIVERY FEE Fee varies depending on the area. For the person who likes a lot of options, Pureseed is your perfect match. They have flower baskets, hand bouquets, gift bundles and choices for all sorts of budgets. They also have all popular blooms in stock such as roses, lilies, gerberas, eustomas, sunflowers, orchids, hydrangeas, bird of paradise and gingerflowers, so you’ll definitely find a flower for any occasion. The Scarlet Flower is great at customising flower arrangements based on your specifications. Pick a colour theme or focal blooms and they can craft elegant arrangements fit for a queen. For customers who don’t want to scrimp on quality, this may be the go-to flower delivery for you. Their flowers in hatboxes are particularly charming and ready for display. You can likewise bundle a bouquet with gifts your significant other would love to get.